Wing Span : 54 in / 1370 mm . 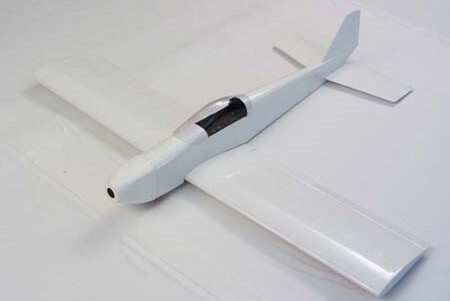 Wing Area : 556 sq in / 35.9 sq dm . Flying Weight : 5 lb / 2200 g .
Fuselage Length : 48 in / 1220 mm . Engine Required : 2-stroke 0.40 . Premium hand iron-on covering film.